With the Super Bowl approaching on Sunday, we have a choice. We can either hide in the jungles of Brazil, or wade through a tidal wave of minutia regarding the Rams and Patriots. Bum Phillips coached at UTEP (then Texas Western) in 1962. At the time, Bum and his wife Helen lived in a modest apartment on the first floor of Miners Hall. 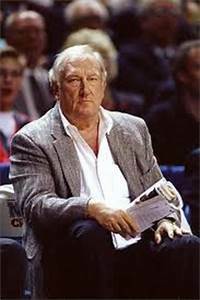 Daddy Bum was coaching at UTEP (then Texas Western) in 1962, when he went out recruiting. Bum left an assistant to conduct the Miners’ off-season program, with a roster and cryptic note on how to handle any discipline problem. Translation: If a player was on the two-deep chart, his transgression would mean he would be required to run for punishment. If a kid was out of Bum’s favor, he would meet the other fate … Run, or run off. To cap this tale, young Wade Phillips, then 15 but now 71, lived in this apartment located next to the first-floor dorm room occupied a few years later by the late Ed Puishes. If you know your Miners lore, Eddie was a splendid WR who still ranks in the top 10 pass receivers in school history. Eddie roomed with an offensive lineman from Midland Lee and, together, they lived 15 feet from where NFL royalty once lived. Eddie’s roommate? Take a guess. – by Mark S. McDonald Sr., executive editor and author of Beyond The Big Shootout – 50 Years of Football’s Life Lessons, available soon at BeyondTheShootout.com.